Those that know me well know that I like to brunch, and brunch hard. Among my favorite brunch elements is the Bloody Mary. I love a Bloody Mary for a few reasons: first, they always give me this little burst of nostalgia reminding me of my when I was a kid and my dad would order them when we were on vacation. Every time I order one I get transported back to the porch of the Spring House Hotel in Block Island and think about my dad sipping one on a sunny summer day. I also love them because I’m a sucker for any sort of savory, salty drink; I also love the garnishing options — a big spear of green olives for me please! 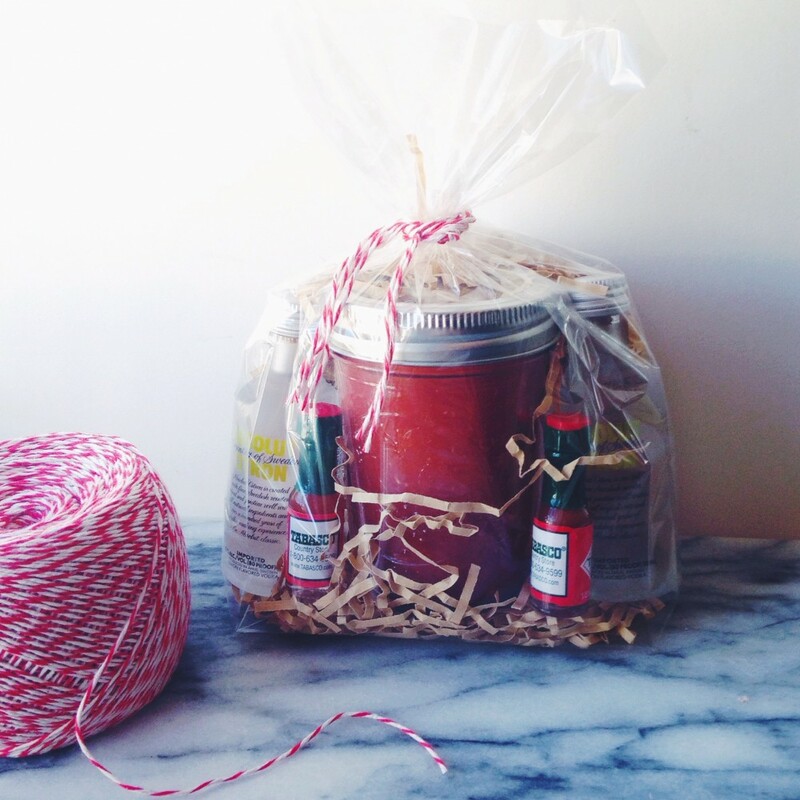 One of my best buds also has this same affinity for Bloody Marys, so this year for her birthday I made her a little Bloody Mary kit as a party favor. 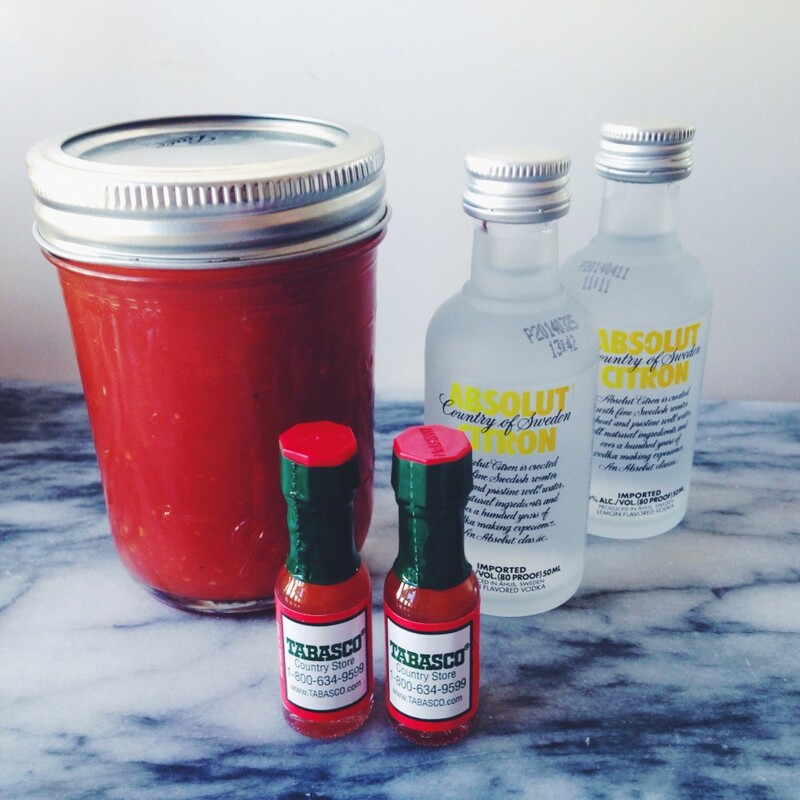 A small jar of Bloody Mary mix, a pair of vodka nips, and teeny-tiny tabasco bottles for a little bit of spice made up a Bloody Mary-on-the-go! 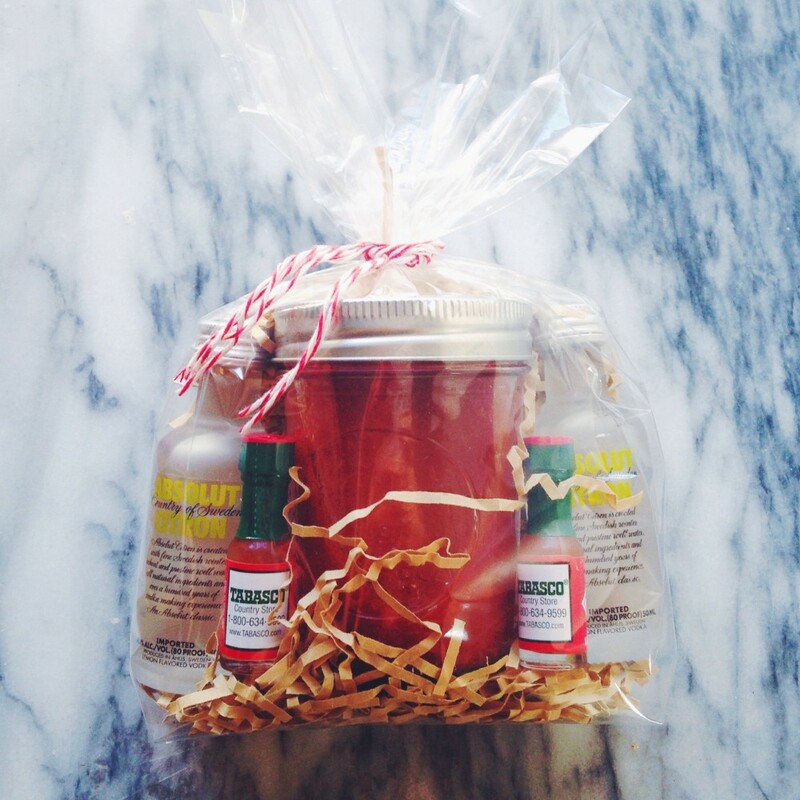 I think it’s a perfect idea for a little hostess gift, or favor for a post-wedding brunch! 4 Responses to "Bloody Mary Favors." The cutest! Love this idea!